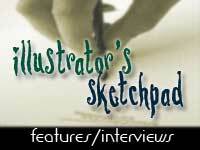 It is our pleasure to share Maria Madonna Davidoff’s work here in BehindtheBooks for our Illustrator’s Sketchpad. 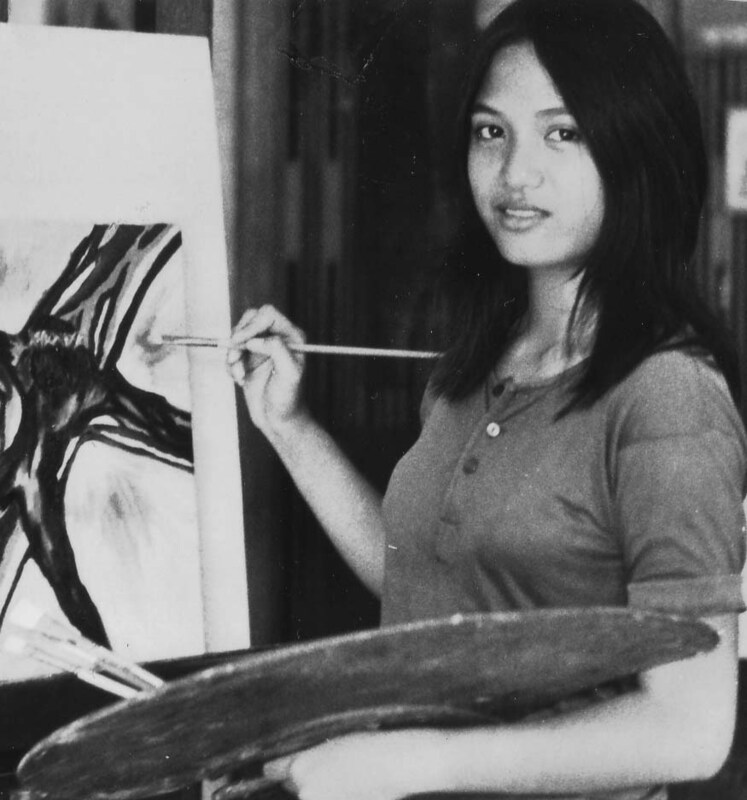 Madonna, originally from the Philippines, is now based in New York, and this is her story. How long have you been illustrating books for children? Could you share with us your journey towards this	particular genre in literature? 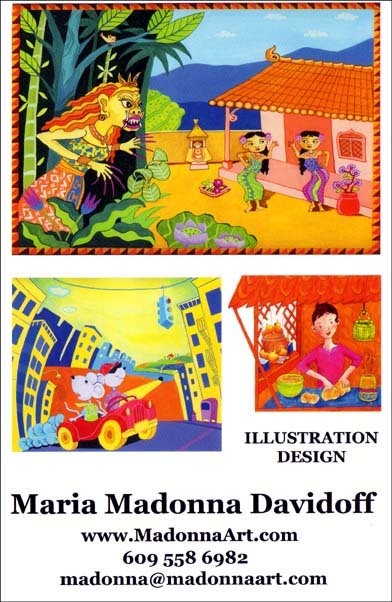 I have been illustrating books for children for several years now. 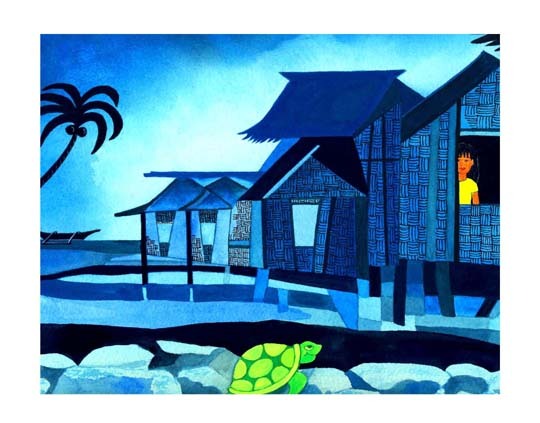 In my senior year at the University of the Philippines, majoring in Fine Arts, there was an opening to illustrate children’s textbooks for Alemars Publishing and I was lucky enough to get the job. So, when I graduated, I already had several children’s books published .When I moved to New York, my first children’s book publisher was Crane Publishing. I have been illustrating books and also designing book covers since then. I understand that you come from a family of artists – how do you think has your background influenced your choice of profession? My maternal grandfather, Juan Lauro Arsciwals, was a novelist in the early 1900’s whose works are in some University Libraries in Manila. I was fascinated with his books that were set in that era, so that as a young art student, I illustrated and designed his books for my portfolio. My mother, Luzviminda Arsciwals was also a writer ( journalist & TV screenwriter) and my brother Jolan Angeles, also a writer, won the Sagisag Award and the Philippine Cultural Center awards for his play entitled” Kastilyo ni Kardo” My father, Jose L. Angeles, on the other hand, was an architect turned businessman, so I inherited both artistic genes: my love of books from my mother’s side of the family, and my visual talent from my father. My parents exposed me to the arts at an early age and was always supportive of my artistic endeavors. Do let us know a little bit about some of your published books and the story behind its publication. What are some of your personal favorites among the books you have published so far? Some of my published books are: Bukusu Folktales published by Africa World Press, The West and the World published by Markus Wiener, The Magic Rooftop by Crane Publishing, Barack, the Anointed published by BlackBook Press and Momsie’s Book published by BaliBliss. 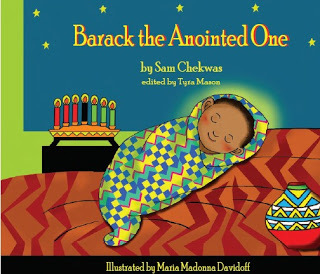 One of my personal favorites is Barack the Anointed which is a Picture book about the President of the United States Barack Obama and his African Heritage. I was honored to witness and leave a legacy during this historical event through my illustrations. As an illustrator, what tools are must-haves for you? Do you do digital art (wacom, tablets) as compared to traditional paints and paper and pencil? What is your creative process like? I work both traditional and digital methods. I usually sketch out by hand my rough drawings , then scan them. Traditionally, my favorite medium is pen and ink with gouache. Sometimes, I add colored pencils to create depth and texture. I use a Wacom to finalize the sketch and also color my illustrations in Photoshop. I often go back and forth from digital to traditional methods, depending on how I want my illustration to look like. Since I am also a professional graphic designer, when I make my book dummy I layout my book pages and design the cover using InDesign. I find it easier and also faster to do revisions of my illustrations digitally. How long does it usually take you to finish a book? What is the collaborative process like with an author of a book? It usually takes me several months to finish a picture book. When I am given a book to illustrate, I usually communicate with the art director/ editor instead of with the author directly. We usually collaborate though emails or phone depending on where the publishing house is located. I usually have a lot of creative freedom in illustrating and I try my best to portray the story visually the best I can. I enjoy meeting the authors especially during book events. I know that you are an active member of SCWBI in New York, do tell our readers how membership in such a community may have helped you in your creative process and your pathways to publication. 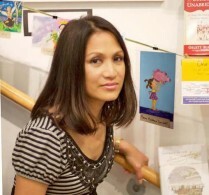 I am both a member of SCWBI in New York and CBIG (Children’s Book illustrators Group). SCWBI is an International Organization and you can participate in any of their world wide as well as regional events. I’ve attended several of their conferences and I advice anyone interested in the Children’s book field to join them. A lot of networking and critiquing happen in these events that can be very helpful for one just starting out. You will learn a lot about the industry, the trends as well as marketing and social networking tips. 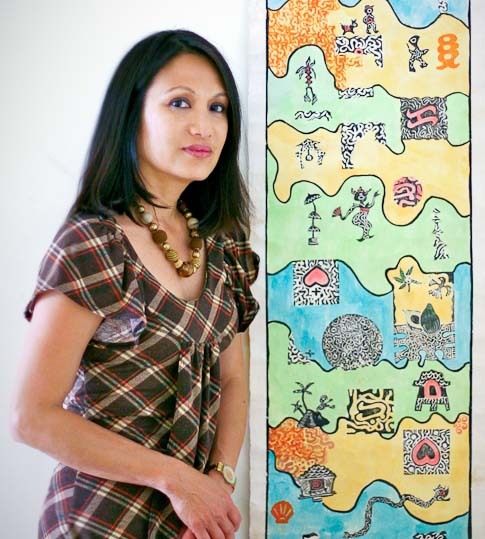 I participated in the first SCWBI Artist showcase, 2003 in New York and my Illustrations was one of the 15 finalists amongst 250 entries where my work was auctioned off and was bought by the SCWBI co-founder, Lin Oliver. With the CBIG, a Children’s Book Illustrators Group, based in New York City, I was one of the officers who designed its member’s annual promotional postcards. The CBIG holds a monthly meeting, with a talk and portfolio critique from editors or art directors of major publishing houses in New York City. This is a good source for networking and exposure. CBIG also holds regular Illustrator exhibits for their members. Who are among your ‘heroes’ in children’s literature when it comes to illustrations/artworks? I have a lot of favorites illustrators namely: Mary Blair, Maurice Sendak, Simms Taback, Paula MetCalf and Maria Kalman. What are some of your upcoming works? Publications? Exhibits? I am currently working on 2 picture books: a Multicultural book and a Yoga book for Kids. I am also working on my Graphic Memoir “ Little Mado.” I am developing a new line of Illustrations for some licensing company. 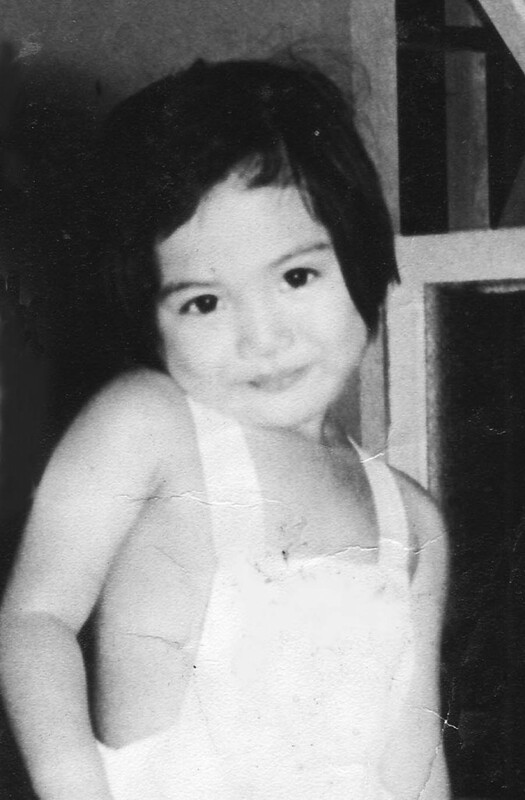 My book entitled “Momsie’s Book” will be launched on April 2013 in a NJ Public Library. I will also be participating in a group exhibit in Lambertville Gallery where I will be showing original canvas paintings depicting children. Many thanks, Madonna for being part of GatheringBooks this January/February. It was truly a privilege knowing you. For those who wish to know more about Madonna, click the links to be taken to her website, her artist blog, her craft and art shop, and her book portfolio on CBIG.